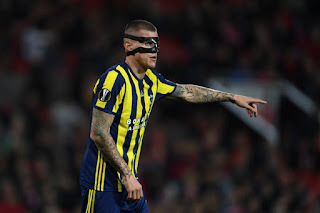 According to various sources, including our own, the Martin Skrtel deal will not happen due to wages. The Slovakian defender and his agent have been locked in talks with Rangers chiefs, but the initially-accepted £35,000 a week offer which had already been one of Rangers’ highest-ever wage packages to a player has been dismissed in light of alternative offers said to be around double that. The player is said to be on around 55K Euros in Turkey, and is demanding something close to that to come to Govan, Steven Gerrard or no Steven Gerrard, but the ‘wide apart’ distance claimed by the agent is seemingly true going by the figures we’re getting. There is no point spending silly money on a 33 year old, and we cannot condone any move for Skrtel which costs anything significantly more than £30K a week, including the apparently-accepted £35K. That is already huge in light of Rangers’ limited budget, and while Gerrard’s needs should be supported, Rangers and our health come first. There are many other targets and Rangers are already reported to be looking elsewhere. Disappointing but there's plenty more cheaper younger options out there. Remember we got cuellar for about £2 mill, we got boumsong for nowt...just got to find them. Get bomber brown on the case- he found cuellar! He was definitely scouting him and reporting back to Walter. I'm sure bomber was responsible for a few signings. Seems to have an eye for a player. If he could find 1 that could play like him that would be perfect! If his club want £5M and the player wants £60k/pw the deal should be canned. His asset value will only plummet with no possible way to recoup the money given his age. He’s not that good a player that we as a club could enter into such a deal. Agree. If van dijk can be bought for 1.2m then we should be scouring these markets for the next jackpot money maker, doesn't even matter if our hit rate is 1 in 4 and the other 3 never make it on the field. Similar to what we did with Morelos but we missed the boat not selling him January. Not worth it. He was a good player but we can't be sure how much he has left in the tank and how could he would be here. Our old guys Alves & Martin also came in with a good CV and failed. Could see the same happen to Skrtel so I wouldn't break the bank for him. This is typical, we get promised marquee signings coincidently just before season ticket sales and ooops all of s sudden we can’t afford them. Take it that rules out Defoe, Torres etc. embarrassing once again to be a loyal teddy. Is it just me or is King potentially as bad as CG? King has definitely played a blinder here. Season tickets have gone remarkably well on the back of "expected" activity. Thing is, is Mr G aware that there doesn't seem to be much money? All Rangers fans should be worried until they actually see real signings in the building. Get real guys! You buy your season ticket because you are a Rangers fan. King brought you Gerrard who in turn will bring you the best players we can afford. Skirtl was a beast of a centre half prone to big mistakes 5 years ago and he's now way on the wrong side of 30. Haven't we learned anything from Senderos, Alves and Martin. Get some proper scouting work done and find the next Skirtl! Alves has another year on his contact. Better to keep him and hope is fit. Old guys are rarely worth it. He must have around 15m in the bank so does not need the money surely??. Can't understand his way of thinking heading to China or the States. Goldson Bartley Burke all of better age and avalibile, perhaps this is a God send and I'm pretty dam sure Stevie won't be losing any sleep over it. If Stevie had him down as his No 1 priority I am sure he will be royally pissed off. He must have been aware that Skrtl was on more than 25-30 grand a week. How many Bears last year would have thought Bruno Alves be worth paying millions for ? I would probably have.....but now in hindsight absolutely no way, he’s been really poor. I would rather see young players come in, but wouldn't be saddened to see Terry join us for free, even if the no fee is in lieu of paying him bigger wages. Yes, Skirtl is too old. Let's go for a Terry. FFS!!!! Tap a the list next time Skrtel! Usual mischief makers alluding to King undermining SG already I see on Twatter. No way can we justify that type of outlay on this guy. If Stevie can't see that then we're truly fukd.All total conjecture at this moment anyway but I never wanted Skrtel.Senderosesque comes quickly to mind on this one. We move on. I have posted about this before a friend is a friend and friends will help friends out but when it comes down to alot more money some where else then your friend will not come for less. Dave King has played a blinder again , season tickets at alltime high , too late to ask for a refund .Now he's played an other blinder by cutting Ceptics allocation to 800 , they've done the same and I don't blame them , we have got a year to get as much as we can for our next four year TV deal with a huge channel for SPL football and our bargaining chips are gone as how can you sell the oldfirm with no atmosphere ? This man has to leave Rangers , he's a liability and a charmilian . Absolutely correct to cut Celtic allocation. Now we need to move them out of camera shot like they do with us. The Old Firm is still a big draw regardless of how crowd is made up. But do you think we will get the big multi millions due from the TV companies. No chance! We'll get fed the scraps off the big table of the EPL once again. I reckon we could probably sell the 4 (to potentially 6) Old Firm games for more money than is given to the whole of Scottish football in a season. You’re on the wrong site. Worried you won’t get a ticket are you! It is high time that Rangers cut Celtic fans presence at Ibrox. To give them a whole stand and the visible presence that provides compared to the corner we Rangers fans are afforded at Celtic Park gives Celtic an unfair advantage. More so Celtic have brought this on themselves with their players increasingly undignified displays following recent victories at Ibrox, from Griffiths childish scarf tieing antics to Brown jumping up and down in his sunglasses. I don’t remember Richard Gough or Brian Laudrup indulging in such nonsense when Rangers were stacking up victories galore at Celtic Park. Ultimately what will secure a better TV deal in any case is a strong and competitive Rangers that will make these matches truly meaningful again.